A member of the cactus family and referred to as the prickly pear, Nopal consists of pectins and mucilage that nourish the digestive system. Rich in nutrients, it is a low-glycemic-index food and may have hypoglycemic effects. 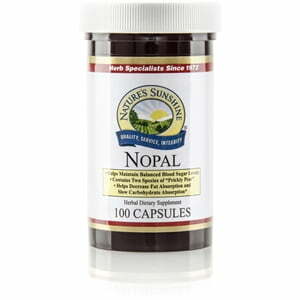 It helps the body maintain already-normal blood sugar levels. 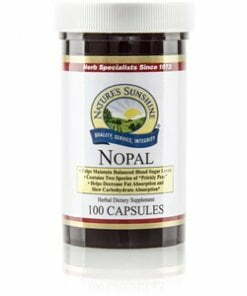 The Nature’s Sunshine formula contains the power of two different species of Nopal in one 400 mg capsule.